This morning Nvidia hinted at a planned PC release for the upcoming Grand Theft Auto V, suggesting those gaming behind a keyboard and mouse may be able to wreak havoc across Los Santos sometime in the Fall, shortly after the console debut. Now Rockstar has revealed more details about what that will actually entail. The game's official Travelogue site was updated with a bunch of new images, character art wallpapers and information on Los Santos and Blaine County. Along with the 15 new screenshots where we catch a glimpse of Michael and Franklin preparing for a heist, we also meet a new character by the name of Ron. 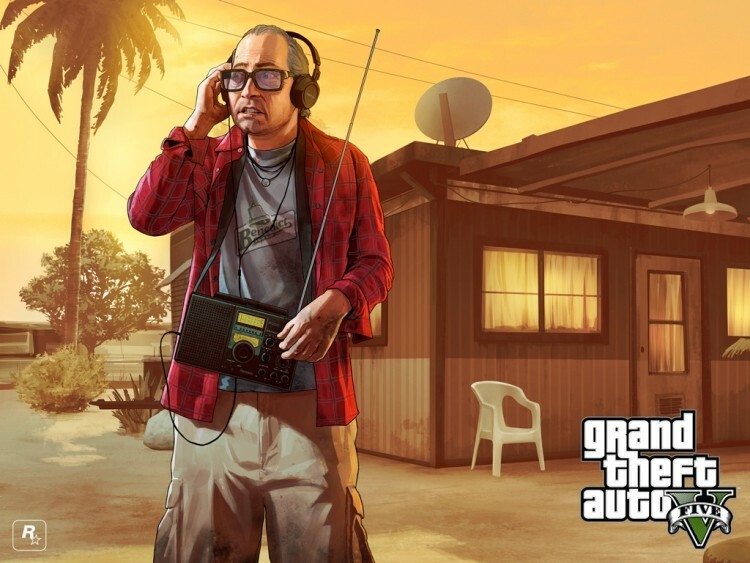 Rockstar says he is Trevor's acquaintance, which is understandable looking at his nervous expression in the image above. As for the rest of the shots, it's much of what you would expect and love, including gorgeous vistas, cars chases, explosions and a shot of a submersible. For the full break down and all the new images head over to the official Grand Theft Auto V Travelogue. Rockstar says it will be updating it on a regular basis "with more to explore including our local artisans, exciting music and entertainment, exclusive country club lifestyle, and so much more…."